I know, I know. It's been an eternity since I last updated. I was close to giving up on this thing, but I got a few random comments of kindness. And also one really bitchy comment that called me an Amy Sedaris knock-off, which I take as a compliment. For those of you who know me, you know I lost my camera access in a terrible fire that forced me to move out of my apartment. Well, that's almost the reason, but either way, I'm back in action! Papa got himself an iPhone. After sufficiently burning myself out on Grindr, I decided to see what else the camera function can do. So far, so good. I won't lie to you, I generally hate phone camera photos. This recipe comes courtesy of an Oklahomie (her term), I was craving this the other day and figured it would be fun to write about. I changed her recipe a little, I swapped out her pineapple for tomatoes. Step 1: Set oven to 350. 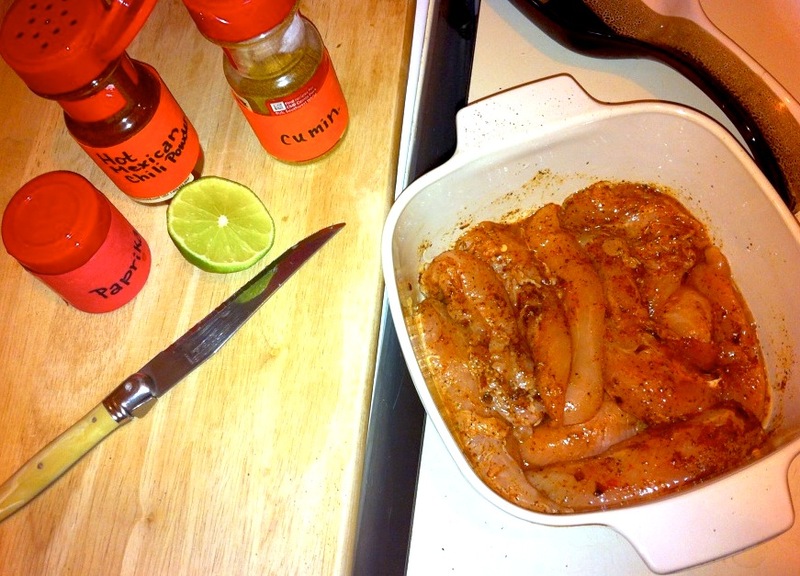 Soak chicken pieces in lime juice, chili powder, cumin, paprika, salt and pepper. I used tenderloins because they cook faster and are easier to shred. Let it sit for a bit and then cook in a skillet. Step 2: Once your chicken is shredded. Create an assembly line (employ friends or lovers). Pour half of salsa verde in your casserole. 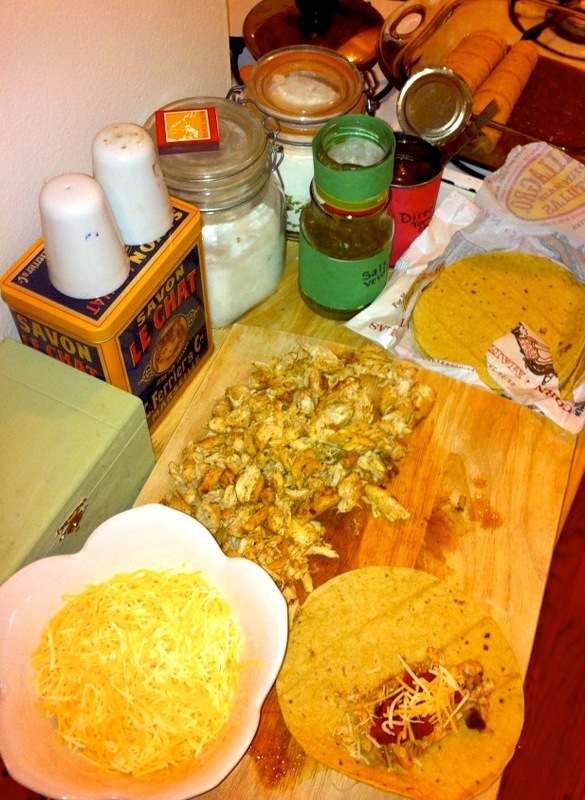 Roll chicken, cheese and tomato doobies with your tortillas. Place seam-side down in your dish. 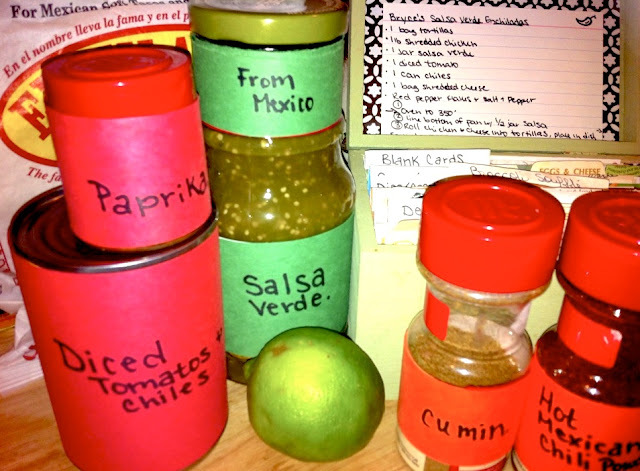 Step 3: Once out of supplies, cover with the rest of the salsa, tomatoes and cheese. Bake covered 30 minutes. I swear I made this for people, but we dug in before I could snap a picture. This was my enchilada side-car.